Welcome to ALISON – a three million-strong, global online learning community, filled with free, high-quality resources to help you develop essential, certified workplace skills. ALISON was founded in 2007 by global leader and innovator Mike Feerick. Our mission at ALISON is simple: to enable you, wherever you are in the world, to learn and get certified – at your own pace – using our free, interactive, multimedia. There are 600 free courses for you to choose from: * Financial & Economic Literacy * Digital Literacy & IT Skills * Diploma Courses * Health Literacy * Health & Safety (Irish Legislation Only) ALISON is for anyone taking their first step to a new job, and for everyone taking their next step to a better job. ALISON is as individual as you are. Our materials will help you to develop your creativity, confidence and competence for work, and to be as contented and productive as you can be in the world of work. Every course is standards-based and certified. That means bragging rights with family and friends, an edge in your first job or new job, and inspiration to be all you can be. So now get ready for a bright new future! Good accounting practices and procedures are needed in every business and organization. Details of trading transactions need to be accurately recorded so that you know what your financial situation is at any time. 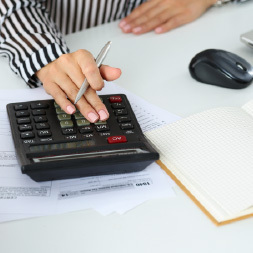 In Alison's free online accounting diploma course, you will learn about the core practices involved in recording various details, from understanding debits and credits and using simple T-accounts to closing out the accounts at the end of an accounting period, producing the statement of retained earnings and balance sheet. Detailed examples are worked through on a transaction-by-transaction basis, helping you understand how and why each step is necessary. After reviewing day-to-day accounting procedures, you are introduced to the more formal theory of accounting, the assumptions, principles and modifying conventions, the Financial Accounting Standards Board (FASB) conceptual framework and the main objectives of financial reporting. Alison's free online accounting course will be of great interest to entrepreneurs and business professionals who would like to get a thorough introduction to accounting practices and theory, and to any learner who is interested in accounting as a future career.